Israeli security forces on Friday killed two Palestinians in the Gaza Strip and the occupied West Bank. Ehab Abed, 25, was “killed by Israeli occupation fire east of Rafah,” during a protest along the Gaza border, the strip’s Health Ministry spokesman Ashraf al-Qudra said in a statement. A French Press Agency (AFP) journalist at the hospital said he had been shot in the heart. 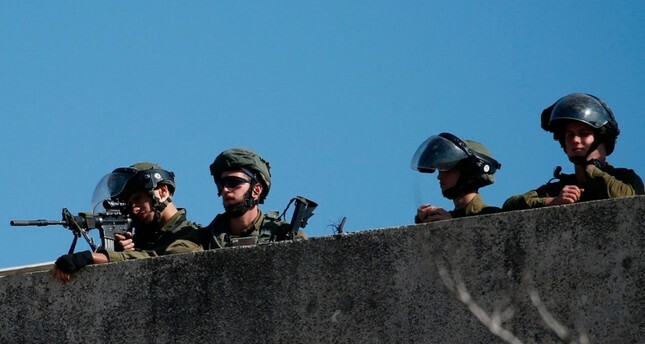 Israeli troops shot another Palestinian as he threw stones at Israeli motorists in the West Bank, the army said. Soldiers “responded by firing at the suspects, who received medical treatment. 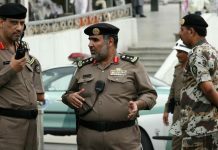 One of the suspects later died of his wounds and another was injured,” a statement said. It added that the army was investigating the incident. 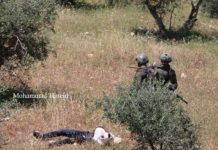 Residents of the dead youth’s village of Silwad, northeast of Ramallah, named him as Ayman Hamed, 17. Thousands of people gathered at multiple sites along the Gaza border, with Israeli forces using tear gas and live fire to disperse the protesters. Friday’s protests were the first since the seeming breakdown of an informal truce agreement between Israel and Palestinian resistance movement Hamas. On Thursday, Hamas said it would no longer accept the money, saying Israel was not respecting the agreement. Meanwhile, clashes between Palestinians and Israeli forces occurred in the West Bank towns of Al-Mughayyir east of Ramallah and Kafr Qaddum west of Nablus. In Al-Mughayyir, at least six Palestinians were injured by Israeli army gunfire while dozens of others suffered the effects of excessive teargas, according to Palestinian medical sources. In Kafr Qaddum, Israeli forces used teargas, rubber bullets and live ammunition to disperse demonstrators, protest organizer Murad Shtewi told Anadolu Agency. Palestinians responded by throwing stones and setting car tires alight, Shtewi said. Every Friday, Palestinians stage demonstrations across the West Bank to protest Israel’s decades-long policy of building Jewish-only settlements on confiscated Palestinian land. According to estimates, some 640,000 Jewish settlers currently live on 196 settlements, built with the Israeli government’s approval, and more than 200 settler outposts (built without its approval) throughout the occupied West Bank. 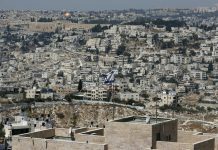 International law regards the West Bank — including East Jerusalem — as “occupied territory” and considers all Jewish settlement-building activity there to be illegal. Israel-Palestine peace talks collapsed in 2014 due to Tel Aviv’s refusal to halt West Bank settlement building and accept pre-1967 borders as a basis for a two-state solution to the conflict.